Returning to the UK after working overseas, Architect couple Richard and Debbie Hart bought an early 80’s detached, family home in Surrey with a garden overlooking the Surrey Hills. The couple decided to extend this standard detached home, and incorporate a Sarnafil green roof into the project. The project involved remodelling the house and replacing the old conservatory to improve the relationship between the house and garden, and take advantage of the view over the steep garden gradient to the hills beyond. This created an opportunity to open up the space and improve the ground floor layout by adopting a broken plan design with an interconnected kitchen, living and dining area. The couple also opted for a green roof for the new extention. 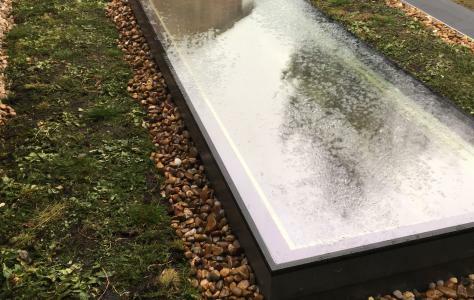 The 15m2 flat roof was just below the level of the bedroom window cill and the couple were keen to look out over an attractive landscape rather than just a standard flat roof, so opted for a living roof design to effectively visually blend the roof into the surrounding countryside. 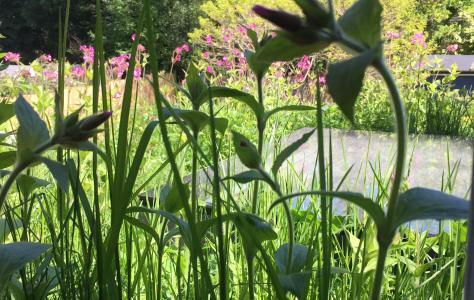 Richard said: “Because the bedroom overlooked the new extension we wanted to make it visually appealing , create an element of interest and also to increase wildlife. Now when we look out of our bedroom window, we’ve a lovely view of plants and greenery and then look further out to the Surrey Hills”. 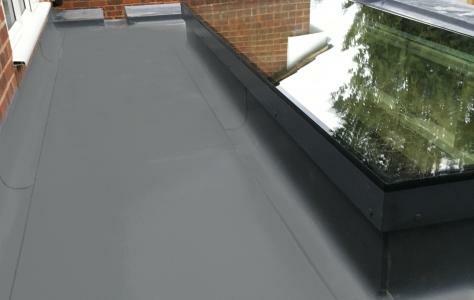 The Sarnafil single ply membrane roof was installed by Sian Home Improvements, a member of the Roof Assured by Sarnafil installer network, based in Hampshire. Brian Rudd, Managing Director, Sian Home Improvements worked with Sky Garden (sky-garden.co.uk), the main contractor for the green roof and a leading installer of green roofs throughout the UK. The roof also included a large, triple glazed rooflight unit to bring extra light into the living areas below. Sian Home Improvements installed up to the finished roof with the Sarnafil G410-EL waterproof membrane, Sarnafil G445-13 protection layer and drainage mat ready for the sedum roof. Not only does the new roof look great it brings a wide range of benefits including less noise, reduction in storm water run off, extra insulation as well as protection from every day wear and tear. The couple are delighted with their green roof and say that it has created quite a lot of local interest. We can look forward to seeing a case of grass is greener on the rooftops in Surrey!